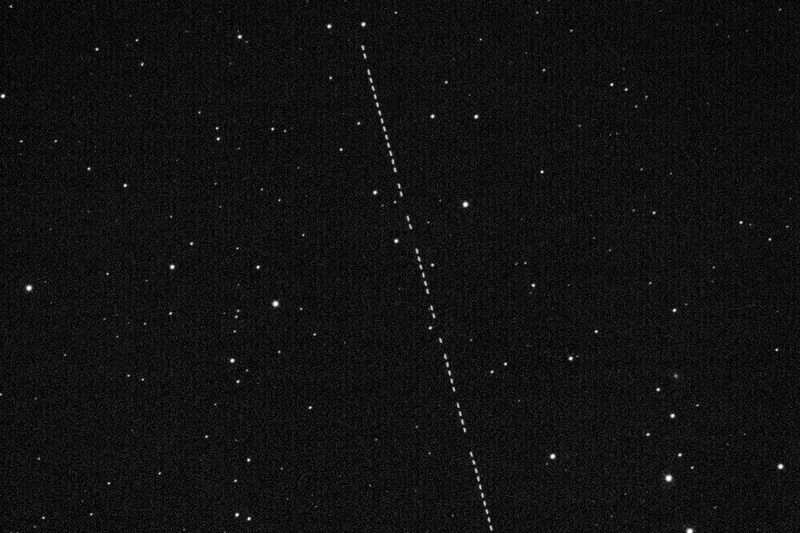 On January 26, 2015, the Putman Mountain Observatory telescope was pointed to a near earth object (referred to as an NEO designated 2004 BL86) that passed within 750,000 miles from Earth. This asteroid was photographed in a timed video sequence of approximately 50 separate images. Each image in the video sequence is a five second exposure. The telescope was tracking the background stars, and therefore, the stars appear fixed with the asteroid moving in front of the background stars.